Black and white Duke arrived with us at the end of October and has settled in well, he’s a stunning big lad who is now more than ready for a home of his own. Our regular volunteer Dave takes Duke out walking most days and now reports that he walks well on the lead and is not reactive when he comes across other breeds of dog. Duke had the opportunity to spend some time in a home and was clean in the house and very well behaved. As Duke is confident, and likes his own company, we think he would be happiest being the only dog in a quiet home and would be best placed in a home with experienced hound owners. Also, we do not think Duke would be comfortable living with small children. 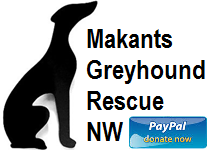 which can be found under the ‘adopt/foster’ tab, and one of our team will get back to you.